Send your greetings of the season and support the Prostate Cancer Foundation at the same time. 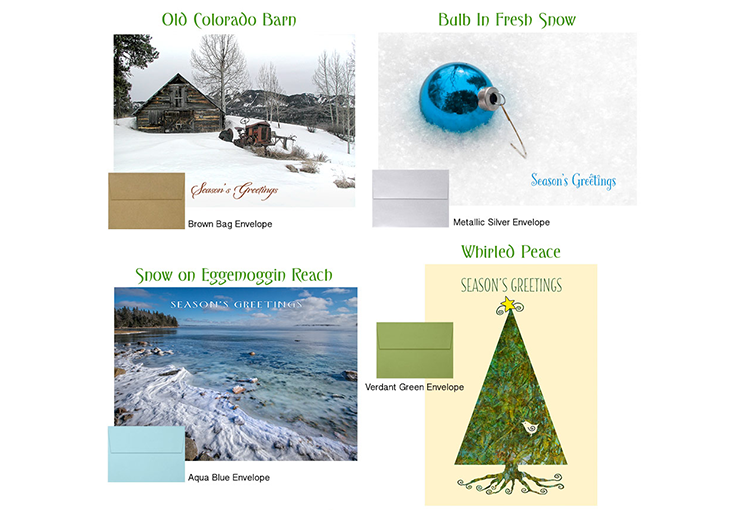 Designed by Jean Fogelberg exclusively for the PCF and in memory of Dan Fogelberg, these 5 x 7 greeting cards are printed on thick 120lb gloss cover stock with Aqueous coating. 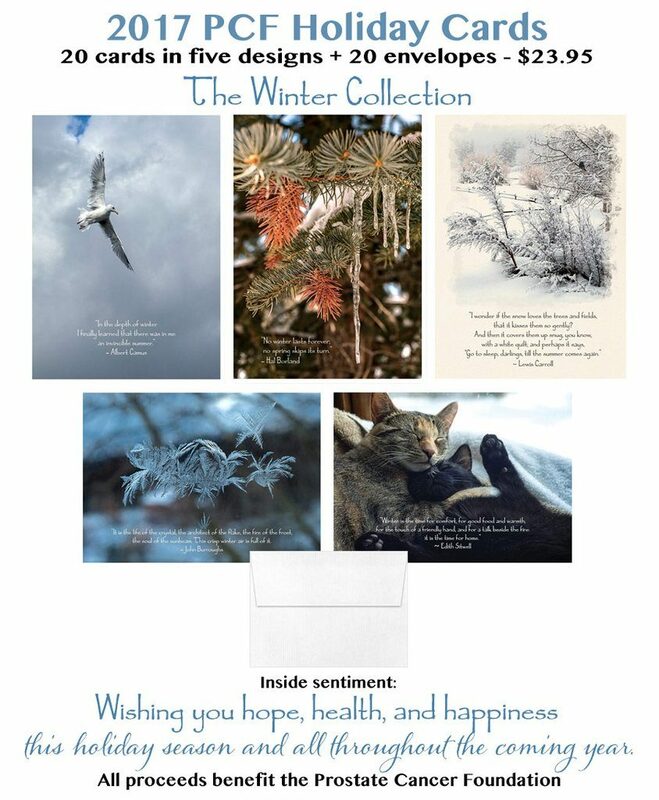 Buy a set of 20 in one of the 4 designs or a combination set with 5 cards of each design. Also included: 20 coordinating envelopes.